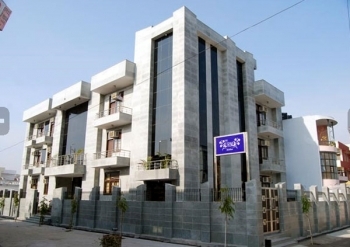 The URMI is a deluxe budget hotel in Haridwar which matches the culture and ambience of the holy town in a unique manner. The hotel is a perfect blend of simple, stylish & luxurious living keeping in harmony with the spiritual calmness of the holy streams of river Ganges and the incessant hustle bustle of the city - An ideal home for the pilgrims as well as the business tourists. The URMI is just 10 minutes (Approx 3.5 KM) away from the most sacred - Har Ki Pauri on NH 58 Haridwar-Dehradun-Rishikesh Highway. 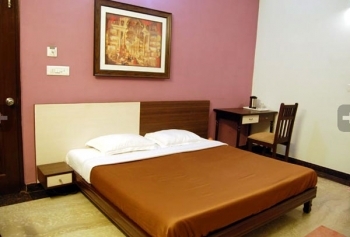 The URMI hotel is having overall 20 Rooms aesthetically designed with all modern facilities like ACs, LCD TVs, attached Modern Bathroom and spacious balcony almost with all rooms (sparing two rooms), Ultra modern Lift facility and Ample parking space with vehicle wash, lodging and meals for driver. Urmi hotel has a multi cuisine restaurant which offers delicious vegetarian meals. Residents and non-residents return time and time again to enjoy the excellent personal service and taste the delights of the menu. NOTE: Tariffs are not applicable for May and June. The nearest airport is the Jolly Grant airport at Dehradun, about 35 km from the hotel URMI. Haridwar Railway Station and Bus Station is just 7 km from the hotel and Rishikesh is 13 kms.